A madman is on the loose. His goal: Shock, awe, panic, and hysteria. Can three disparate heroes-an investigative specter, a psychopathic vigilante, and a time-traveling genius -put aside their differences to defeat this terror-focused sociopath? Find out what happens when Ghost, X, and Captain Midnight meet up in the first crossover of Dark Horse’s new superhero comics! 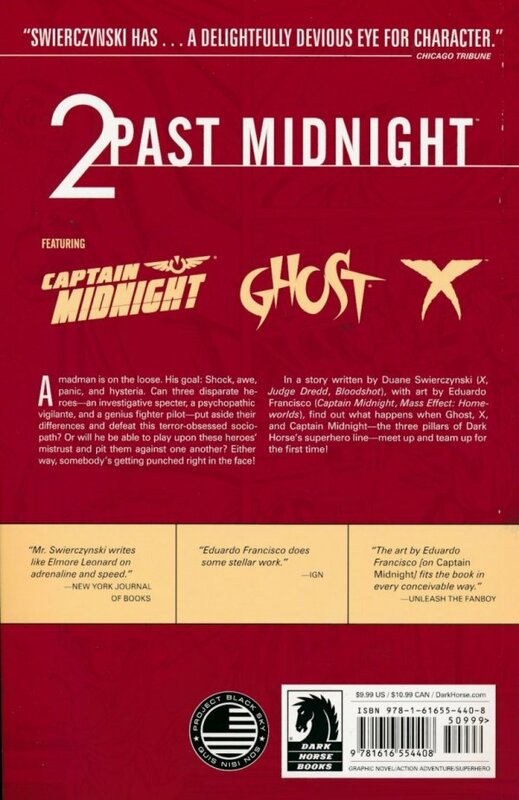 Collects the Two Past Midnight Dynamics ePlate comics/Dark Horse Digital issues #1–#5.